As an educator, you’ll know that two concepts tend to come up time and time again – higher thinking and the four Cs. Not only are they instruments often used to measure teacher effectiveness, they also push students to pick up lifelong skills that go far beyond simple rote learning. But there is another C that you should be adding to that list – curation. In fact, curation is more than just another C. It incorporates elements of each of the other four – it requires critical thinking, demonstrates creativity, can inspire communication, and encourages collaboration. And that makes it an essential skill for both students and teachers. Curation takes research to the next level; curators are tasked with tracking down information, filtering out the unnecessary noise, and using the remaining material to tell a story that’s meaningful for themselves and others. But what do we mean by curation? Just as a museum curator decides the objects to show in an exhibition, how they should be ordered, and the message they should convey, a person can curate almost anything – a collection of articles, images, videos, audio clips, essays, or any other item that follows a common theme. Think of a Top 10 list, a Best Of article, or even a Spotify playlist – they’re all examples of curation. Wakelet is a content curation platform that makes it easy to curate content, add notes and images that help to make it meaningful, and present it all in a visually appealing way. Simply sign-up at Wakelet.com and you can start creating collections of content. You can customise each collection by adding a title, description, cover and background image and then simply start adding content. And that content can include almost anything you can think of: articles, YouTube videos, Google Maps, Spotify playlists, Google Sheets, PDFs, Instagram photos, tweets, and much, much more. Wakelet – and content curation – can be used in the classroom in a whole range of ways. 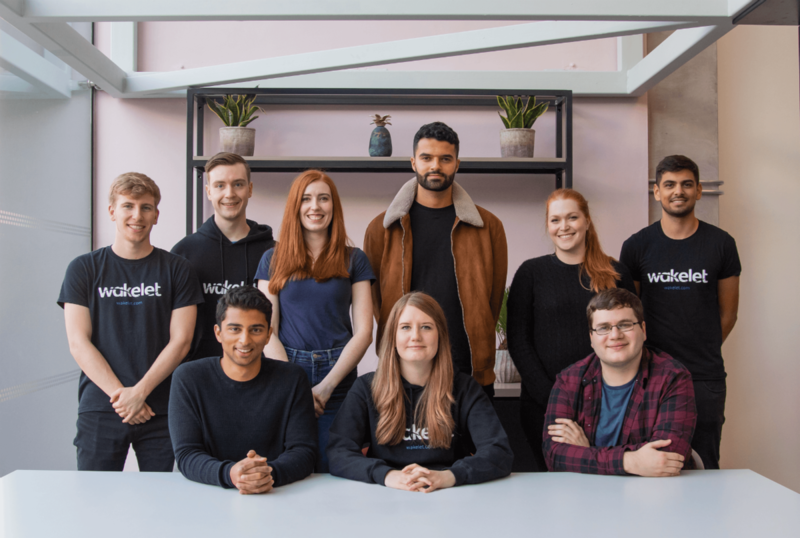 Wakelet offers the perfect platform for students to showcase their skills. Students can demonstrate their thought-processes, analytical skills, and creativity in the way they choose to present content, the notes and images they add, and the story they tell through that content. The Wakelet platform is also a great tool to use for any work that requires research and gathering of resources on a particular topic or theme. Students can collate their findings in a visually appealing way, like this, reorder the information in a way that makes sense, and illustrate their points with their own notes, images, videos, and music before sharing with their teacher or the rest of the class. Keeping parents informed and engaged with their children’s school activities is an important part of being an educator. You can use Wakelet to create a weekly email newsletter, like this, containing everything from links to students’ projects and PDFs of homework tasks to the best Tweets from the school’s community. As an educator, you’re continually developing new skills and techniques. Whether you’ve listened to an inspiring podcast, picked up top tips from a conference, or read a thought-provoking article, you can curate all the useful development materials you come across into collections on Wakelet and revisit them whenever you need a refresh.